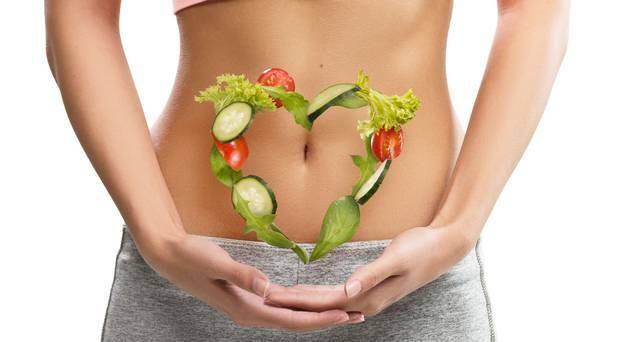 A happy healthy gut is a happier healthy you,but what exactly does that mean? Digestive issues such as bloating, diarrhea,gas, bad breath, mood swings, autoimmune diseases and headaches are some of the red flags that are indicating you that your gut health is not at it’s best. If you have ever felt any of those signs and symptoms, then you have come to the right place. First things first is learning a little bit about your gut in general. A microbiome is the internal complex ecosystem of bacteria located within our bodies, mainly in the gut. Damage to the microbiome is the root cause of a plethora of diseases such as gastrointestinal disorders, Crohn’s ulcerative colitis etc. As scary as it sounds, one can take these simple steps to prevent diseases from taking over your health. Focus on fiber : Eating a variety of vegetable, fruits, whole grains, and legumes to improve the health of the microbiota. These high-fiber foods feed the healthy bacteria that improve immune function and nutritional status, reduce inflammation and chronic disease, and even regulate mood and behavior. Prebiotics: Prebiotics are dietary fiber that enhance the growth of healthy bacteria and provide health benefits to the human host.Good sources include Jerusalem artichokes, chicory root, raw dandelion greens, leeks, onions, garlic, asparagus, whole wheat, spinach, beans, bananas, oats, and soybeans. Probiotics : Probiotics are live bacteria or yeasts found in fermented foods or supplements that, when consumed, take residence in the gut and improve health.Dietary sources include sauerkraut, miso, tempeh, soy sauce, and water kefir. Foods to avoid: Red meat, high-fat dairy products, fried foods, food additives, and advanced glycation end products (AGEs) all reduce the growth of healthy bacteria and enhance the growth of undesirable species linked to chronic disease. AGEs include proteins and fats exposed to high heat, such as sausage links, and sugar molecules found in candy bars. Other lifestyle factors: Evidence suggests that exercising, getting enough sleep, and avoiding or managing stress will also have a positive impact on the health of the microbiota.